I’m just a software engineer, not a movie reviewer. If you’re looking for an expert critique of Ryan Coogler’s hugely successful big-budget blockbuster, Black Panther, you have come to the wrong place. That isn’t to say I didn’t appreciate the film. I enjoyed strong performances from Chadwick Boseman, Michael B. Jordan, and the rest of the legendary supporting cast. I loved the attention to detail in everything from the costumes to the fight scenes to the distinctively black hairstyles. The production quality was as top notch as we’ve come to expect from a Marvel film. The thing is, I thought the movie was great—just not for the reasons you might think. Let me tell you my three takeaways from the movie. Disclaimer: If you’re already familiar with the comic, there isn’t much in the way of spoilers ahead. Everybody else, consider yourself warned. In the film, the fictional African people of Wakanda guard a miracle metal known as Vibranium. Its magical properties fuel their unparalleled technological advancements. Hidden from the view of the outside world, the Wakandans ensure that outsiders remain unaware of their precious metal. They know that no one would guess a seemingly impoverished, third-world country like Wakanda would ever be capable of pioneering the most sophisticated innovations known to mankind. Like the Wakandans, the innovations of black people throughout American history are also largely invisible. No, black people weren’t trying to hide them from the world. Racism robbed many black innovators from receiving the credit they earned. Unfortunately, history may forget them altogether. Did you think that Katherine P. Johnson, Dorothy Vaughan, and Mary Jackson were the only hidden figures? As one of the rare black software engineers in Silicon Valley, I remind others of the innovations of black people like Garrett A. Morgan, Lewis Latimer, Frederick McKinley Jones, and Madam C.J. Walker, who invented everything from the precursor to the modern traffic light to the portable refrigeration that makes ice cream trucks possible today. I’m excited for the growing interest in making the world aware of these and other black inventors. Many amazing, untold stories of black innovation are waiting to be told in film. Hopefully, Hollywood will take notice. The central conflict of the movie lies between King T’Challa and Erik Killmonger. T’Challa seeks to guard Wakanda’s technological secrets from the world. And Killmonger? He wants to arm the worldwide African diaspora with the means to rise up against oppression. This conflict reminded me of the famous nemeses in black American history. For instance, I considered the disagreement between Martin Luther King Jr. and Malcolm X. King advocated peaceful civil disobedience. Malcolm believed in black liberation by any means, including violence. 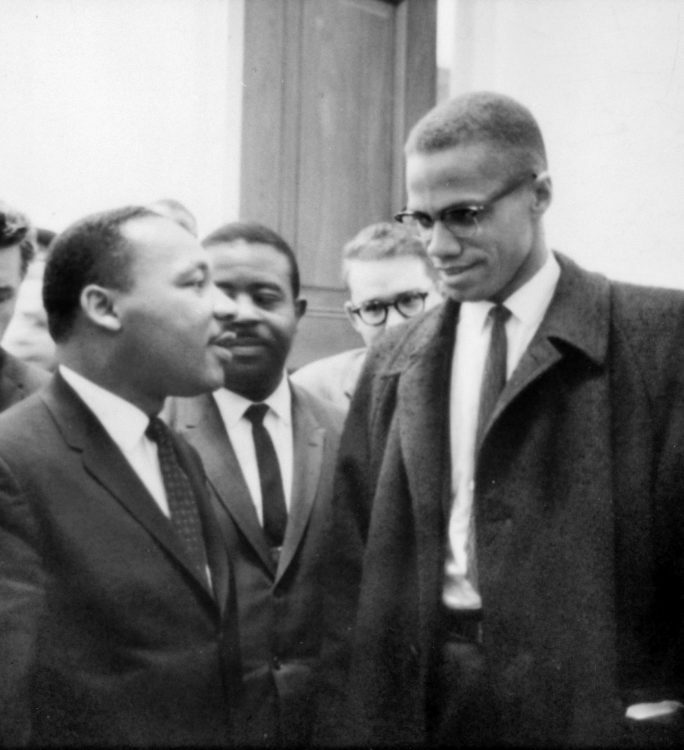 King and Malcolm weren’t the only ones to take opposing sides. W.E.B. Du Bois and Booker T. Washington debated whether the future of black progress lay in the classroom or the shop floor. Du Bois believed in political action and growing black intellectualism to compete with racism in the battlefield of the mind. Washington, on the other hand, argued that hard work and wealth-building would win the respect of white people. The schisms between these viewpoints still exist in the black community today. Seeing this debate play out on the big screen made me appreciate the richness of the Black Panther storyline. At the end of the movie, T’Challa realizes Wakanda must share its technology for the good of humanity. He decides to open up an international outreach post in Oakland, California, a city where black people still make up the largest racial demographic. The audience is led to believe this development would uplift a community long victimized by inequality and injustice. As soon as I saw that scene, I was instantly reminded of the computer lab that Google opened for Oakland youth near Fruitvale Station in 2016. That transit station is where a police officer killed a handcuffed black man, Oscar Grant III, in 2009. Fruitvale Station is also the name of the biopic about the incident directed by Ryan Coogler and starring Michael B. Jordan. Silicon Valley is investing in Oakland as they look to raise the representation of blacks and Latinos in tech. I believe that there is real opportunity for companies like Google and others to make a difference in the long-neglected hoods and ghettos that exist all across America. By getting proximate with these communities, as activist Bryan Stevenson puts it, tech can provide the tools that underrepresented groups can use to climb out of poverty. As Black Panther continues to make film history, I’m hopeful that future films will probe the depths of the important themes that matter to underrepresented communities. I would certainly pay to see more films as entertaining and as thought-provoking as this one. The author wishes to thank fellow Googlers Cynthia, David, Kalon, Jennie, Mitul, and Olivier for their feedback. The post Three Unexpected Takeaways From Black Panther appeared first on Black Enterprise.